The Philippines has four endemic species of wild pigs. This makes the Philippines unique in having arguably the largest number of endemic wild pigs Two separate populations of unstudied wild pig species have been reported on the islands of Tawi-Tawi (near Sabah, Malaysia), and Tablas (in the central Philippines). 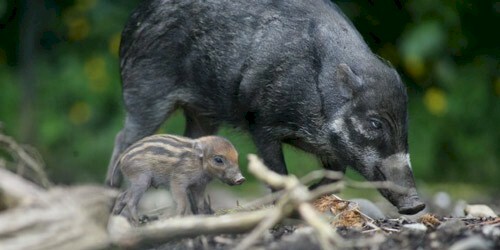 Unlike its Southeast Asian neighbors, the Philippines does not have a native population of the widely distributed Eurasian wild boar. Hybridization with domestic pigs are becoming rampant.